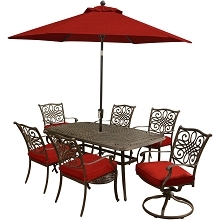 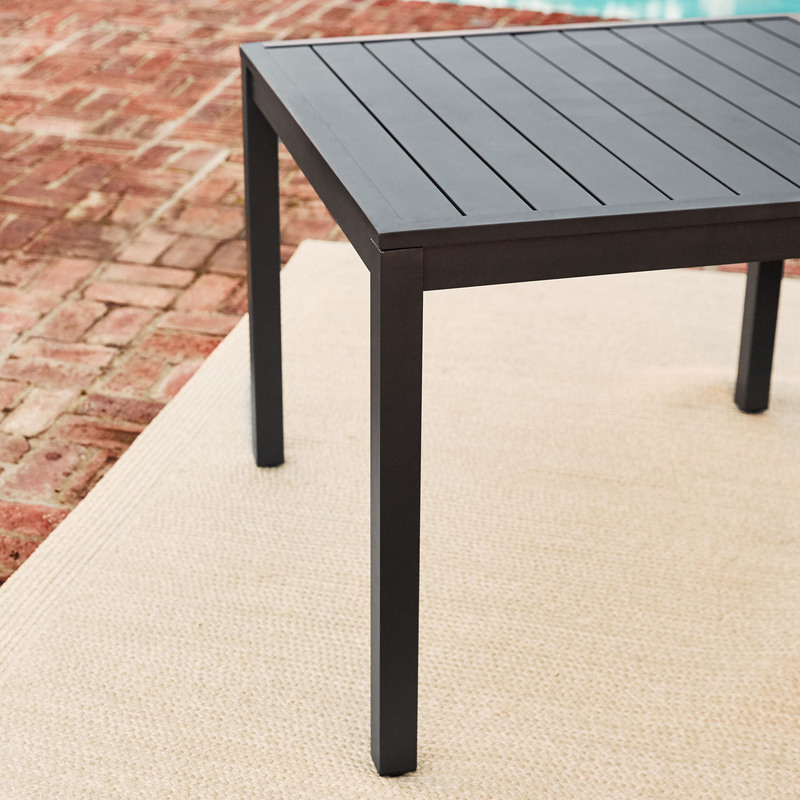 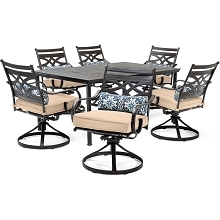 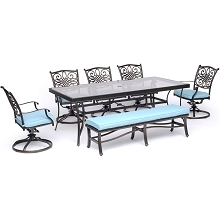 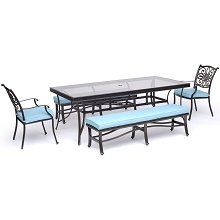 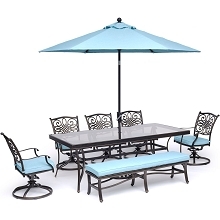 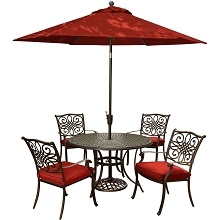 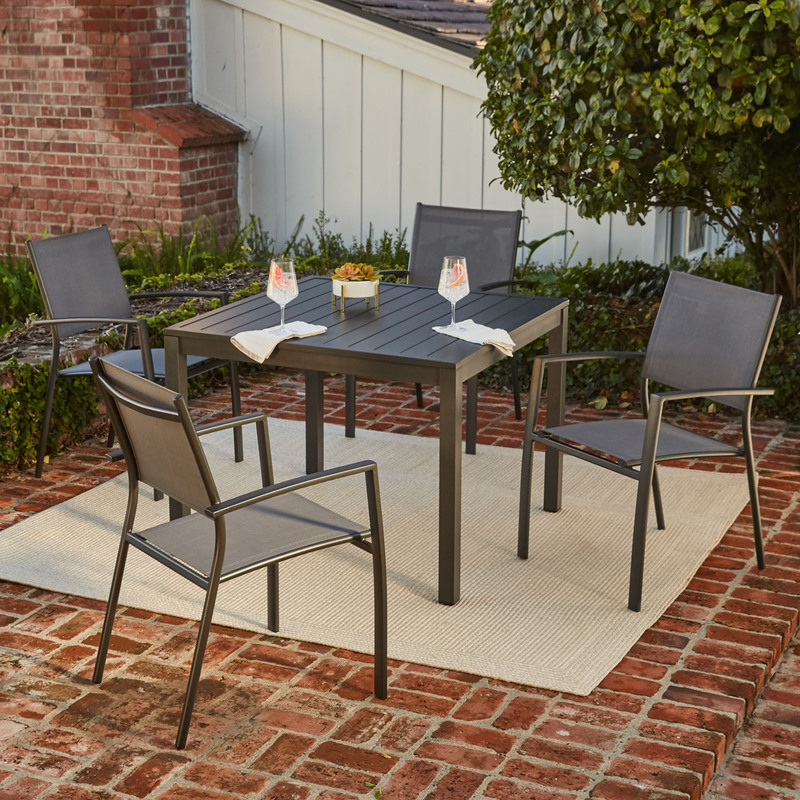 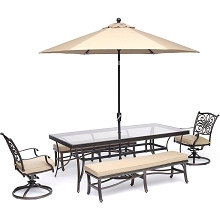 Extend your sense of style outdoors with the sleek 5-piece dining set from the Naples Collection. 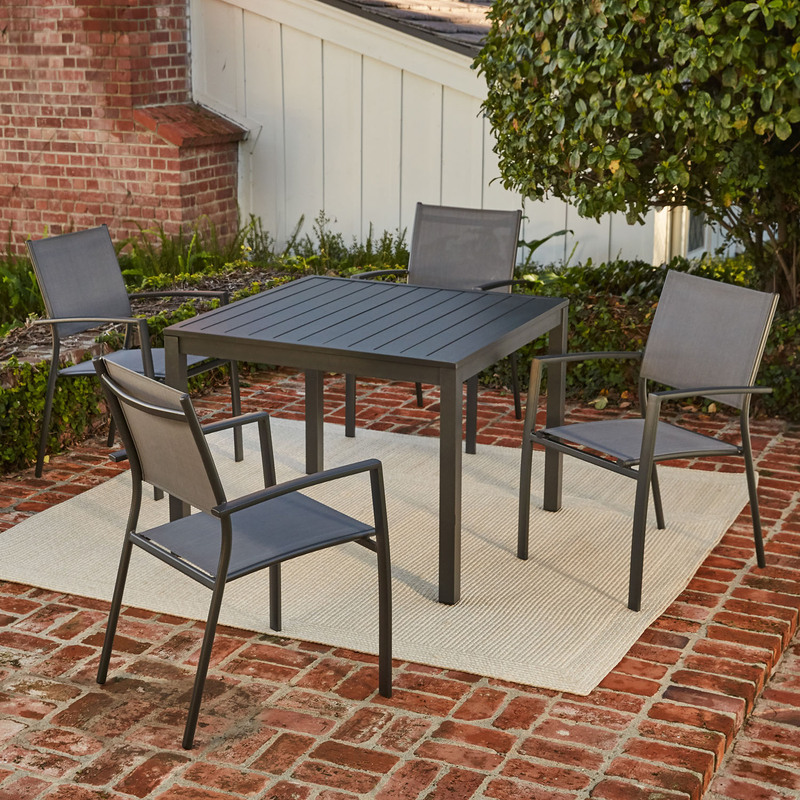 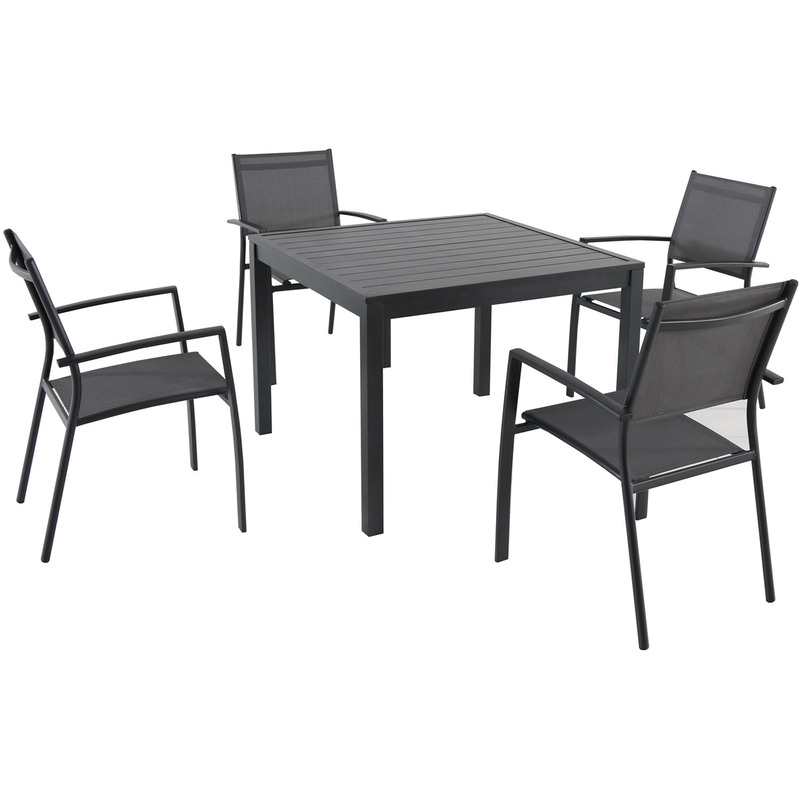 This space-saving set includes a modern square table with slat tabletop and four sling-back dining chairs. 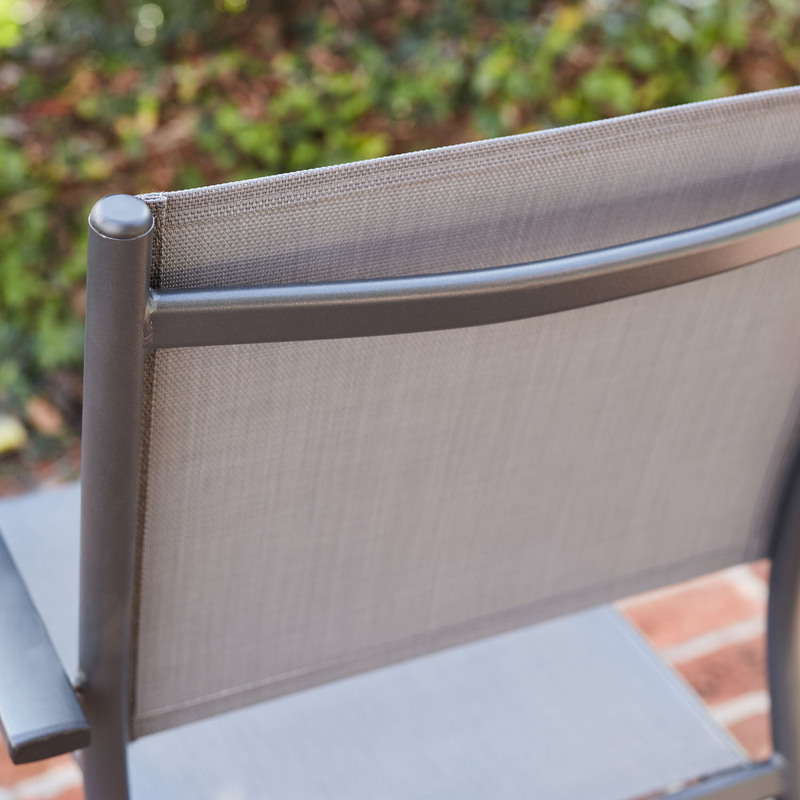 The cool gray fabric and the matte black frames omit a contemporary vibe that makes a bold statement in any location. 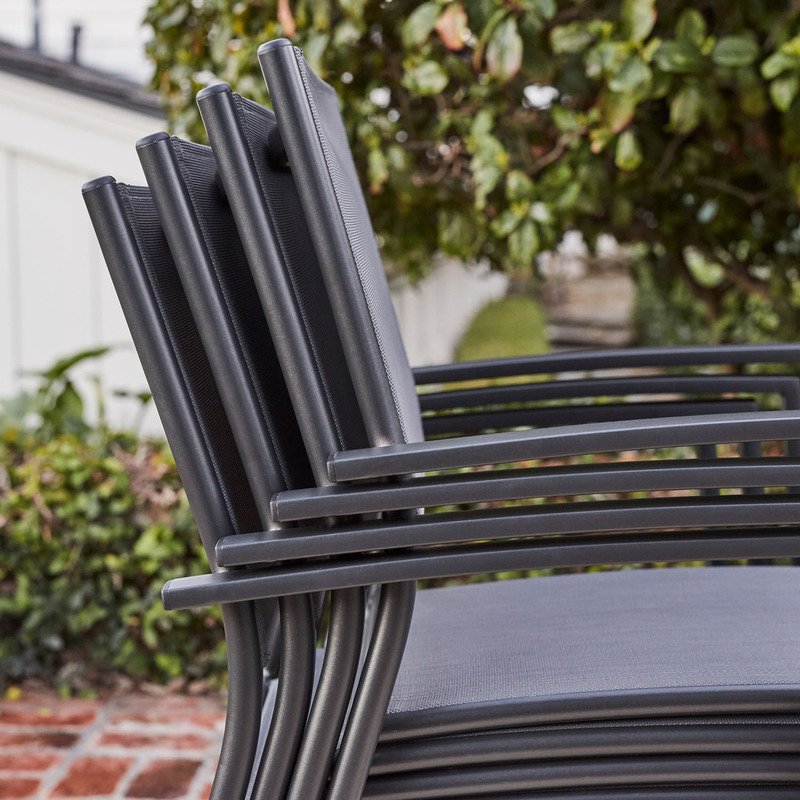 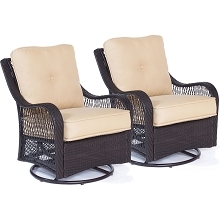 When not in use, the dining chairs can stack on top of each other for compact storage. 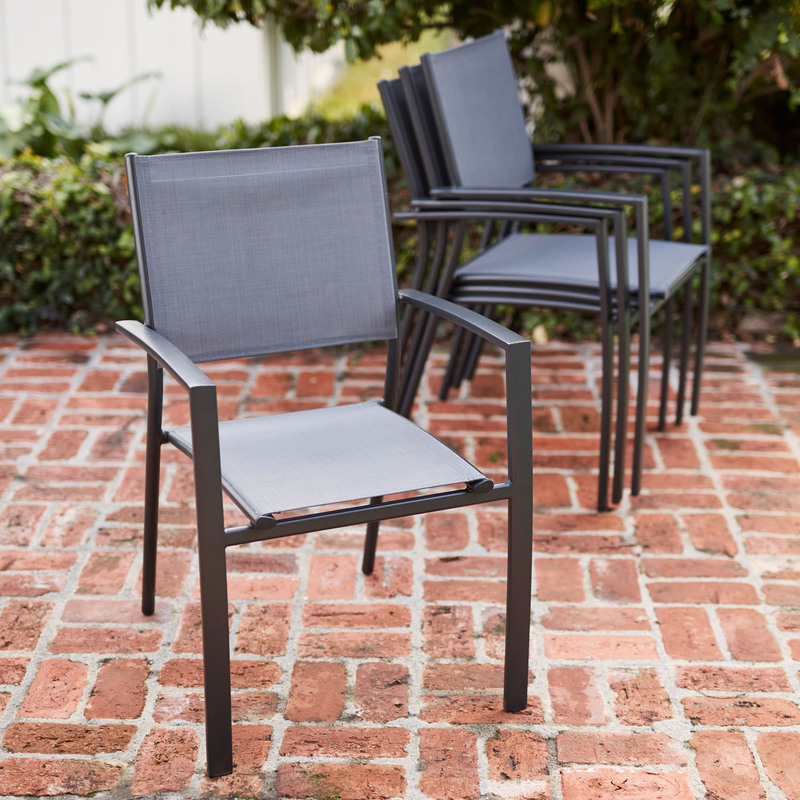 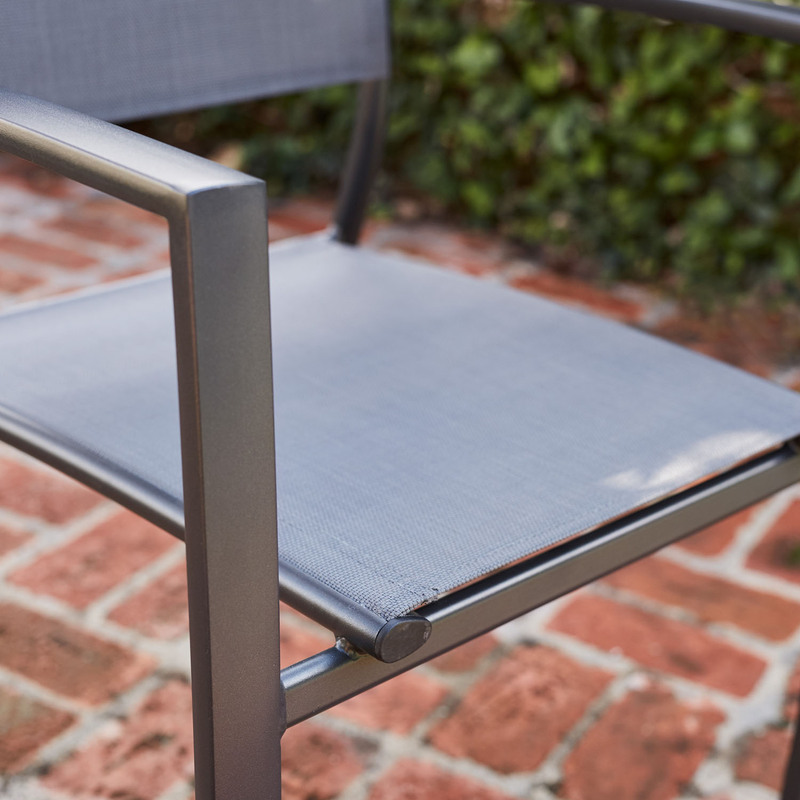 With heavy-duty aluminum frames and a multi-step powder coating, weather and wear are no match for the Naples unprecedented all-weather construction.